Come what may in the November midterms, whether Republicans hold Congress or not, afterward there are a number of spending measures that remain to be enacted by Congress for Fiscal Year 2019. So far, all Congress has finished and had signed into law by President Donald Trump are Defense, Labor, Education, Health and Human Services, Energy, Military Construction and Legislative Affairs. That leaves Agriculture, Rural Development, Food and Drug Administration, Commerce, Justice, Science, Financial Services and General Government, Homeland Security, State, Foreign Operations and Transportation, Housing and Urban Development. Americans for Limited Government President Rick Manning said the unfinished business gives Republicans an opportunity in November and December to enact the Trump agenda, including the wall and the President’s call for non-defense discretionary spending to be cut by 5 percent. 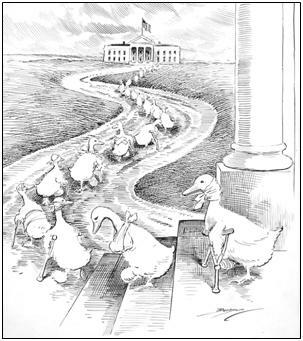 “Regardless of the outcome of the midterms, the lame duck session will present the GOP with a rare opportunity to pass legislation that limits the size and scope of government and hopefully implement President Trump’s call to cut spending by 5 percent,” Manning said. That would amount to about $28 billion in savings, right there, if implemented, which, after the $779 billion deficit for FY 2018, would be welcomed by taxpayers. Other agenda items that are definitely coming up is full funding for the southern border wall, which would need to be included in the Homeland Security funding bill, a key Trump and Republican campaign promise, and with the migrant caravan still headed for the border, one with some urgency. Policy riders could also be tied to funding that limit government, for example, the MERIT Act by U.S. Rep. Barry Loudermilk (R-Ga.) and Sen. David Perdue (R-Ga.), that would expedite the firing of federal employees. Similar reform was passed for the Department of Veterans Affairs after too many veterans died waiting for medical attention. Now, the same reforms need to be enacted across the board to all departments and agencies. For the Atlantic Coast Pipeline, which will transport natural gas across West Virginia, Virginia and North Carolina, Congress could include a simple rider that allows the pipeline to cross the Appalachian Trail, avoiding costly and time-consuming lawsuits. Also of interest, the Joint Select Committee on Solvency of Multiemployer Plans is expected to complete its work on a report to make recommendations for the Pension Benefit Guaranty Corporation and Congress to follow in addressing 114 out of the nation’s 1,400 multiemployer pension plans covering 1.3 million workers being underfunded by $36.4 billion. This could be addressed now, or later. But chances are, Congress will address it. In fact, these are all things likely to come up, and depending on how the midterms go, Republicans can address them in the lame duck, or take their chances in 2019 when, who knows, Nancy Pelosi might be Speaker. Midterms are usually not kind to the President’s party, and while the GOP holding onto the Senate seems likely, the fate of the House still hangs in the balance. Depending on how things go in November, clearing the decks on the Trump and Republican agenda in Congress after the election might be the last full opportunity until 2021 the earliest. Something to keep in mind.